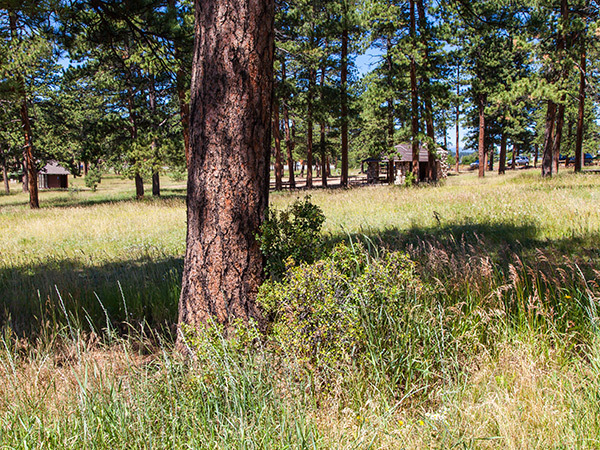 Located at the heart of the Denver Mountain Parks and serving as the gateway to the winding, uphill route to Squaw Pass, the development of this park dates back to a stage coach stop and mining encampment in the 1860s. 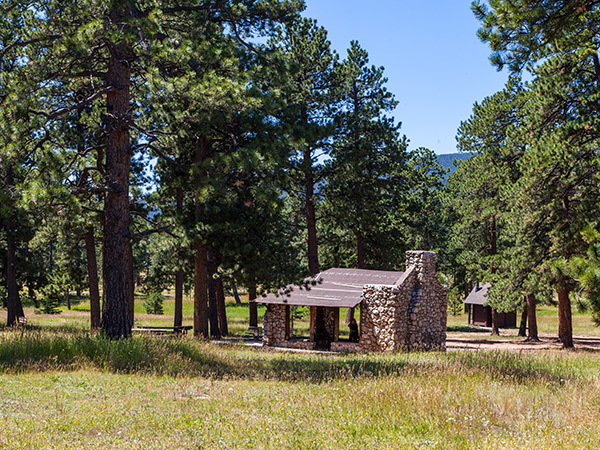 Situated twenty miles west of Denver and formerly known as Elk Park, the land was settled in 1859 by Thomas Bergen who, in addition to his own cabin, built a lodge large enough to house 40 men working in the nearby mines. 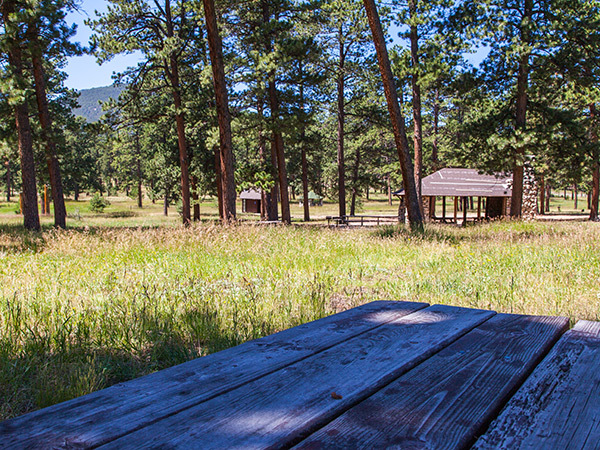 In 1915 the land— accessible by automobile, providing views of the Rockies, and situated on gently sloping land well-suited for passive recreational use— figured prominently into Frederick Law Olmsted, Jr.’s recommendations for the Denver Mountain Parks. 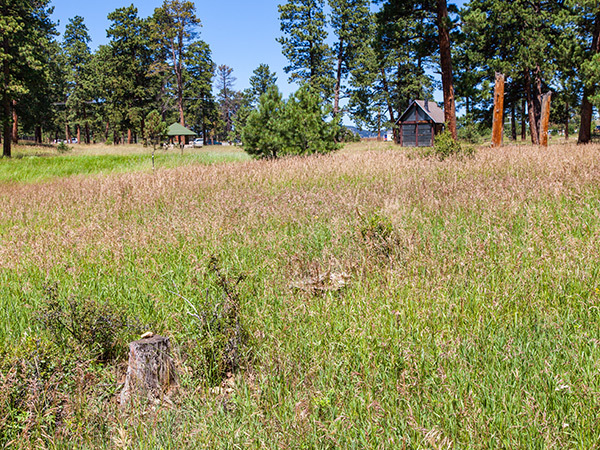 That same year, the 25-acre site was donated to the City of Denver and work began on improvements, including the erection of a rubble stone monument and bronze marker to commemorate Bergen’s homestead. In 1917 a pavilion designed by architect J.J. B. Benedict was constructed of locally-sourced white quartz and green mortar. 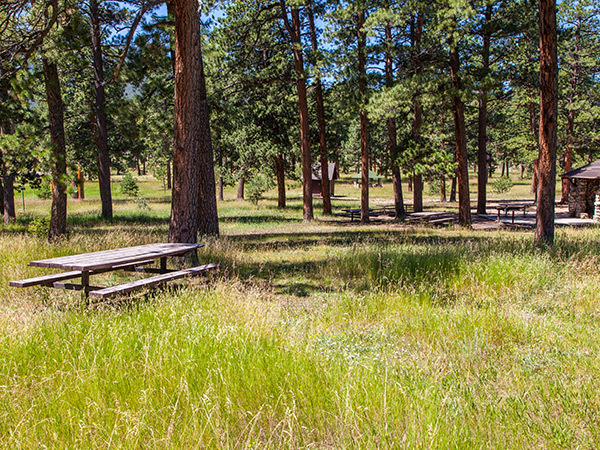 By 1918 picnic tables, a playground, and a well-house had been added to the park. 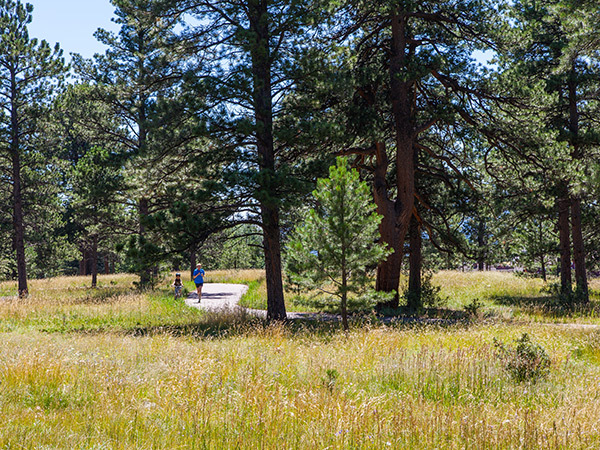 Tracing the alignment of historic wagon roads, Bergen Parkway was constructed in the late 1920s and bisected the park. 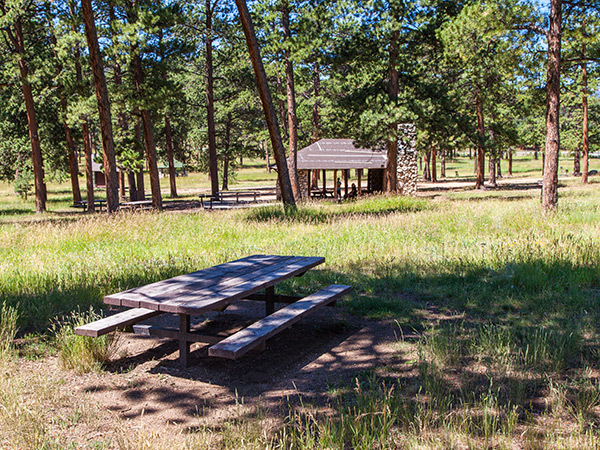 Serving as the centrally located juncture for the Denver Mountain Parks, the popularity of Bergen Park grew quickly. 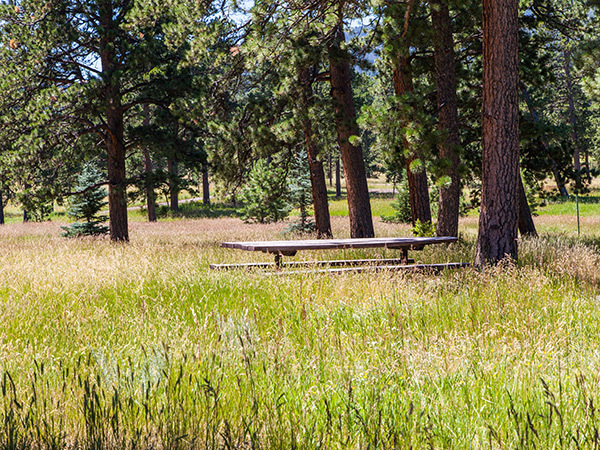 Comprising open grasslands amidst mature ponderosa pines, the park is used for passive recreation and provides views of the surrounding mountains. 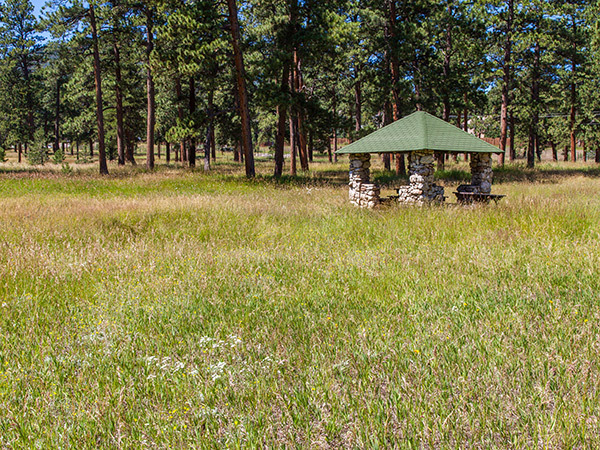 A footpath leads to rustic picnic shelters, the well, and the historic pavilion.